Frank Holl, the son of an engraver, was born in 1845. The Holl family were active socialists and from an early age Frank was taught that he had a responsibility to help change society. Frank's father was frustrated by the fact that his work consisted of expressing other men's ideas and he told his son that he wanted to be an independent artist but had "been driven by a graving tool to earn his bread". At the age of fifteen Frank Holl became a student at the Royal Academy. His first large painting, A Mother and Child, was a portrayal of working class poverty and like much of his work, reflected his socialist upbringing. However, he was criticised by his tutors for the political content of his work and he agreed to paint biblical subjects to win the Academy's gold medal award. Afterwards he told a friend that in future he would never paint pictures that he did not "feel". In 1868 Frank Holl won a travel scholarship with The Lord Gave, and the Lord Hath Taken Away, a painting that illustrated a family bereavement. When it was exhibited at the Royal Academy in 1869 Queen Victoria attempted to buy the painting but the original purchaser refused to sell it. When Holl later painted another painting on the same theme, No Tidings from the Sea, Victoria purchased it for a 100 guineas. Holl's award involved a painting tour of Europe but after two months he wrote to the Royal Academy from Italy saying that he was resigning from the travel scholarship because he wanted to concentrate on painting "the simple, somewhat rugged home-life of the English people". In 1869 joined the staff of the Graphic magazine, an illustrated weekly edited by the social reformer, William Luson Thomas. For the next five years Holl produced a series of pictures that were used to illustrate stories in the magazine. Holl worked on the magazine with other young artists such as Luke Fildes and Hubert von Herkomer who shared his political commitment. The three men often reworked their engravings as large-scale oil paintings, and together they established what became known as the social realist movement. One of Holl's assignments for the Graphic involved a visit to Newgate Prison. While he was there he saw a woman and her children visiting a prisoner. He later used this incident as the subject matter for what most critics believe his Holl's finest painting, Newgate: Committed for Trial. In an attempt to capture the emotion of captivity, Holl painting the picture inside Newgate Prison. 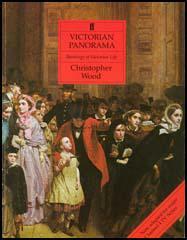 One critic wrote: "The characters are so real in this fine work (Newgate: Committed for Trial) that one feels there is a story to be told of ruined ambitions, of broken home ties, of devotion scorned and trampled underfoot." When Newgate: Committed for Trial was shown at the Royal Academy in 1878 it was virtually ignored, but a portrait that Holl had also submitted was highly praised and as a result he received several commissions from wealthy people who wanted their pictures painted. Holl, who was now a married man with a family to support, decided like Luke Fildes and Hubert von Herkomer to concentrate on portrait painting. Holl tried to find time to paint his social realist paintings and to do so worked a seven day week. He told his wife: "Hunger for work is always on me, and it is when I cannot satisfy this hunger that I get so worn out. If only I could banish my tormenting conscience for work; but that never lets me alone, and if I do nothing I feel of no use." 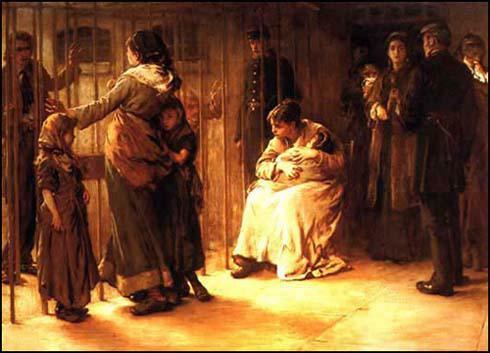 When Frank Holl died in 1888, at the age of forty-three, his family and friends claimed that he had died from overwork. His daughter later wrote: "It is not too much to say that my father threw his life away by his utter inability to rest from work." (1) On the death of William Luson Thomas, the artist Hubert von Herkomer wrote an account of the importance of the Graphic to social realists. The characters are so real in this fine work (Newgate: Committed for Trial) that one feels there is a story to be told of ruined ambitions, of broken home ties, of devotion scorned and trampled underfoot. (3) Just before his death Frank Holl wrote a letter to his wife explaining why he needed to work so hard. Hunger for work is always on me, and it is when I cannot satisfy this hunger that I get so worn out. If only I could banish my tormenting conscience for work; but that never lets me alone, and if I do nothing I feel of no use.